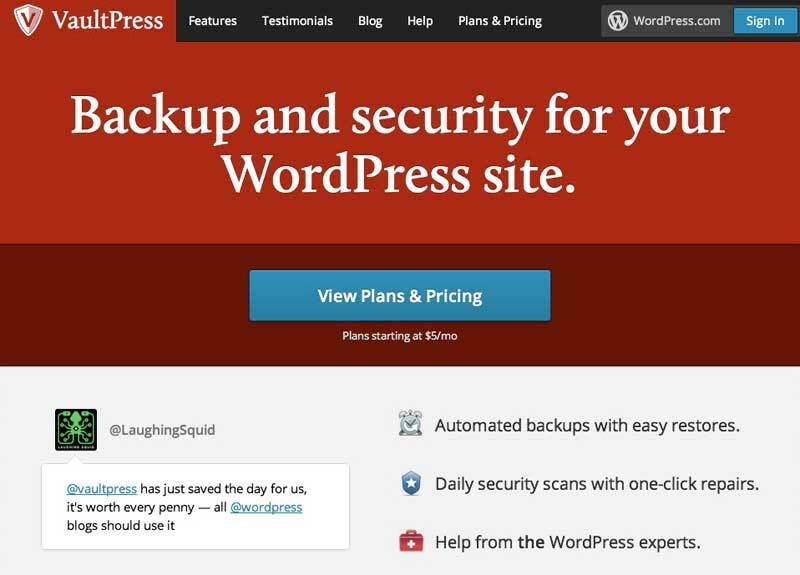 VaultPress is a product of Automattic (the company behind WordPress.com, Akismet, Jetpack, etc), making it the closest thing to an ‘official’ WordPress backup solution you’ll find. 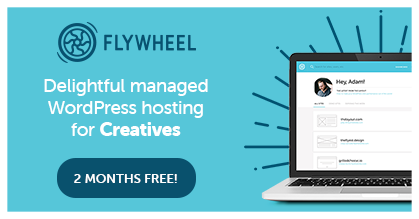 A particularly nice feature (available with the $15 a month ‘Basic’ plan) is the ability to have it back things up in realtime – meaning each time you make a change or publish something new, like posts, pages or comments etc, your site is automatically backed up afresh. Additional features include Automated Restores, Backup Archives and, if you opt for the $40 a month (yowzers!) ‘Premium’ plan, ‘Daily Security Scans’ (which is something we choose to entrust to Sucuri – more on this in a future post). 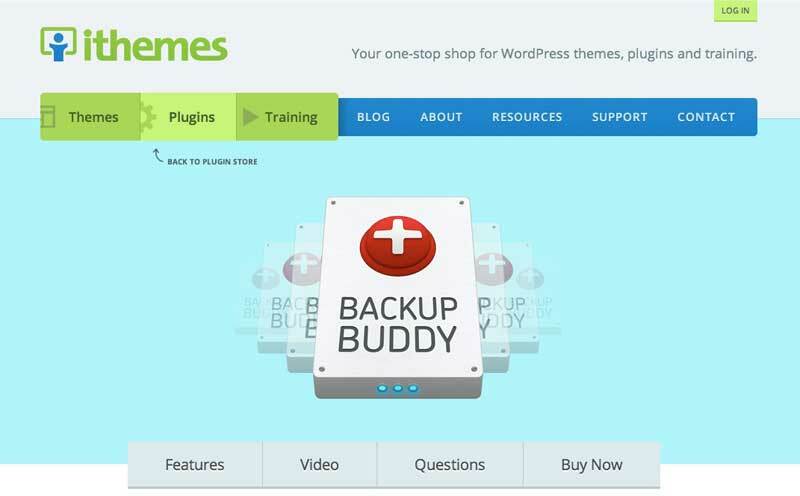 BackupBuddy (the plugin/method we choose to use on this site), by ithemes, is an easy to install premium plugin that lets you take (and schedule) complete snapshots of your WordPress site – automatically saving each backup to an off-site location, such as Dropbox, Amazon S3, Rackspace Cloud, an FTP server, or there own ‘BackupBuddy Stash’ service (a service provided to all BackupBuddy customers). Additionally, BackupBuddy also handles restores (as you’d expect from a plugin of this quality) – allowing you to restore your entire site (including the entire WordPress core) from just an import script (provided) and a previous BackupBuddy backup. What’s more, kind of like an added bonus, BackupBuddy also includes a “Magic Migration” tool that lets users move an entire site to another domain, host or server right from their WordPress dashboard – a feature that’s so handy (when, for example, moving a site from a temporary domain or local sandbox to a live domain) it could well have been sold as an entirely separate standalone plugin! 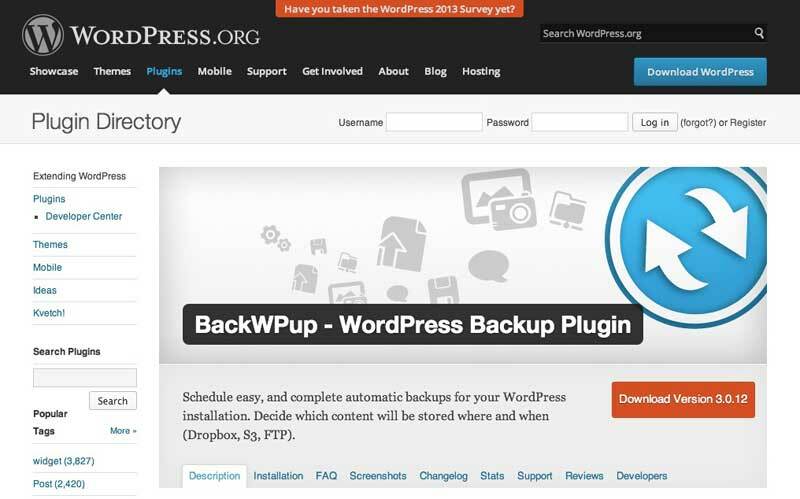 BackWPup is a free WordPress plugin with over 817,000 downloads (compare this figure to those of the most popular WordPress plugins here) that lets you save your complete installation to a number of external off-site locations, including Dropbox, Amazon S3, Microsoft Azure and Rackspace Cloud. However, whilst BackWPup is faultless, unfortunately, the free version only includes relatively simple scheduling functionality and, as you’d expect of a free plugin, limited support – those after something a little more feature rich with better support might like to check out the premium Version, BackWPup Pro, which costs $75. 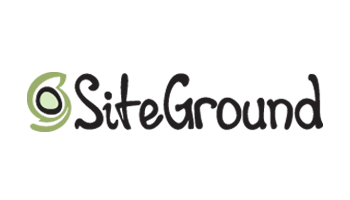 Any other top suggestions for automating complete WordPress-backups? Use/love any of the above? I’m a Vaultpress user and have been saved 2 times big time already by them. Please note they recently have introduced a light plan for $ 5,- per month. The light plan saves 30 days while the $15,- plan saves infinite backup instances.